The Wrangler JK adds body-colored sports bars and grab handles for 2018. The new year also brings industry-leading breakover, ground clearance and approach, and departure angles. It offers 30 inches of water fording and an unmatched crawl ratio. When the windshield is folded down the new header bar keeps the rearview mirror in place. With all these new features and updates the 2018 Wrangler JK is sure to blow any other off-roading vehicle out of the water! How safe is the Wrangler JK? The 2018 Jeep Wrangler JK offers over 75 safety and security features. Some of these features are available as standalone options and may include ParkView rear backup camera with dynamic gridlines, blind-spot monitoring and rear cross path detection, and electronic stability control with electronic mitigation. Standard features for all models may include anti-lock brakes, traction control, and four different airbags. What engine options does the 2018 Wrangler JK offer? A 3.6-liter V6 is the only option for the Jeep Wrangler JK because it’s the only engine you could ever want. This V6 works wonderfully over rock crawls or highways. Countless numbers of variations in gear ratios and axles, makes this engine works with any situation needed. The 3.6-liter V6 offers 285 horsepower and 260 lb-ft of torque with the option of a six-speed manual or a five-speed automatic. What features are available in the 2018 Wrangler JK? The Wrangler JK offers three trim levels. They each have extra packages that can be added for additional features like heated seats, power windows and locks, remote start, a security alarm, and keyless entry. 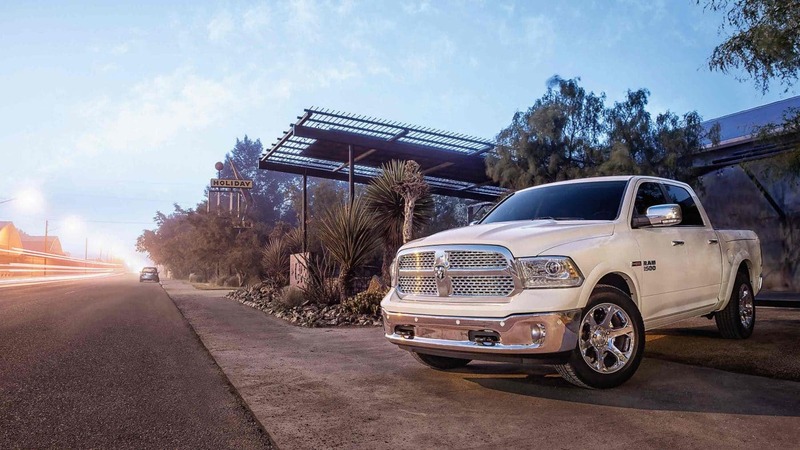 The Sport trim starts the lineup off with standard tow hooks, on/off-road tires, skid plates, an eight-speaker sound system, a fold-down windshield, cloth upholstery, and foglights. 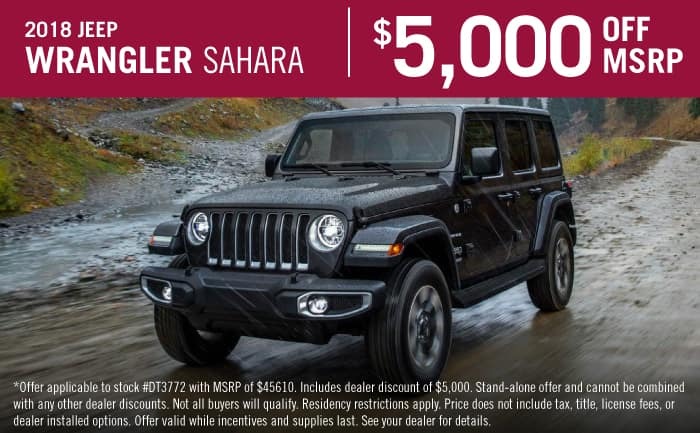 The Sahara is the next step up with hood insulation for reduced exterior noise, LED foglights, automatic LED headlights, air-conditioning, additional painted exterior body panels and trim, and a satellite radio. The very top of the lineup trim is the Rubicon. The Rubicon comes with not luxury, but with off-roading technology. This trim offers rock rails, a lower crawl ratio, air-conditioning, under-hood insulation, and a heavy-duty Dana 44 front axle. If you are looking to add luxury to your off-roader though, the Special Edition packages can add even more features to customize the Wrangler JK as wanted. The Wrangler JK is perfect for any off-roader. If you’re interested in seeing all of the latest off-road features come make an appointment to meet with us today!